City were linked with the centre-back when he was at Southampton, but Liverpool got their man after a lengthy pursuit, making the Netherlands international the world's most expensive defender in January last year. Guardiola moved on to sign Aymeric Laporte from Athletic Bilbao instead, but Van Dijk's dominant displays have helped Liverpool build a seven-point lead from the champions in the Premier League title race. Thursday's clash at the Etihad Stadium could see City move within four points of top spot but, to do so, they will have to find a way past Van Dijk and fellow big-money buy Alisson, who joined from Roma in a deal that could rise to €72.5m. 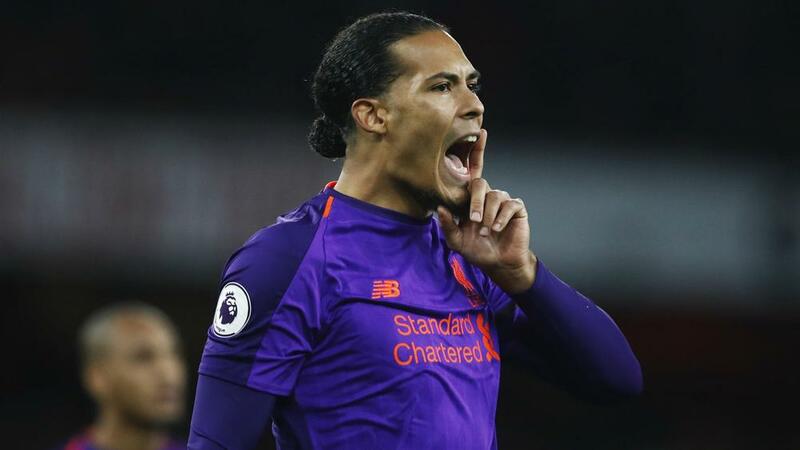 "He's an exceptional player," Guardiola told reporters of Van Dijk. "When a player costs whatever it costs and it works, it is well worth it. "When you pay less and it doesn't work, it is so expensive. If he can play every three days with no injuries and plays consistently, it is well worth it." Liverpool's first title of the Premier League era is in their sights and Guardiola accepts City are close to make-or-break chances in their quest to retain their crown, particularly if they fail to beat the Reds. "We know how important it is," he added. "If we are not able to win, especially if we lose – 10 points, goal difference 11 – if they continue that run it will be so difficult. "It's almost a final for us. For them, nothing changes."